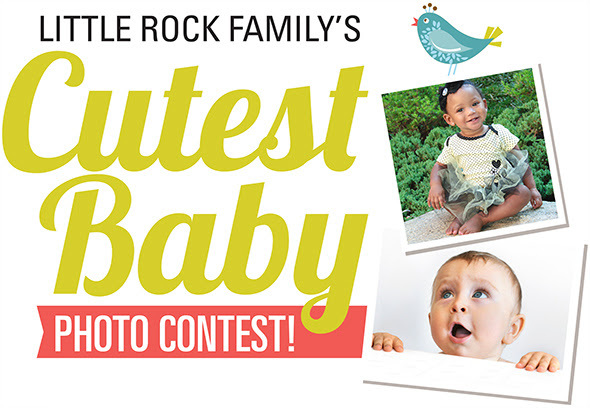 Enter Little Rock Family's Cutest Baby Photo Contest! We know you have a favorite photo (or 100) of your little bundle of joy! Enter Little Rock Family's Cutest Baby Photo Contest for a chance to be featured in the October 2018 issue of Little Rock Family! We know you have a favorite photo (or 100) of your little bundle of joy! Little Rock Family wants to see your baby's cutest moments — whether it's an angelic newborn shot, birthday cake smash or another photo opp — for our Cutest Baby Photo Contest! Photo submissions for the contest will be accepted through Aug. 13 and only submissions from the Little Rock metro area (Benton, Bryant, Cabot, Conway, Jacksonville, Little Rock, Maumelle, North Little Rock and Sherwood) are eligible. Little Rock Family Staff members will then choose our favorites, and post the finalists on Aug. 16. The winners will be determined through a vote, open to the public! Voting will start Aug. 16 and end on Aug. 27 here on LittleRockFamily.com. The winning photo(s) will then be featured online and in the October 2018 issue of Little Rock Family magazine! Click here to submit your baby's cutest photo today!